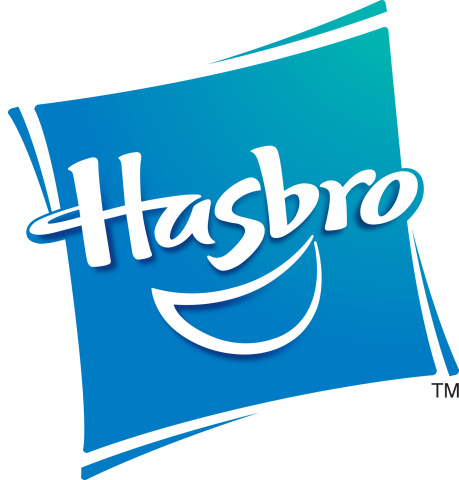 PAWTUCKET, R.I. & SHANGHAI--(BUSINESS WIRE)--Hasbro, Inc. and Guangdong Alpha Animation & Culture Co., the leading toy entertainment company in China, will together introduce BLAZING TEAM to consumers in new markets with new entertainment and an innovative toy line. The companies have a joint venture agreement to co-develop brands within their portfolios globally. The BLAZING TEAM franchise will first launch in the U.S. as an all-new animated series airing on Discovery Family Channel beginning November 13 with international distribution to follow in 2016. The series is produced by Alpha in association with Hasbro Studios and will introduce audiences to the mystical world of Yo Kwon Do, a practice that blends the skill of the yo-yo with the power of martial arts. 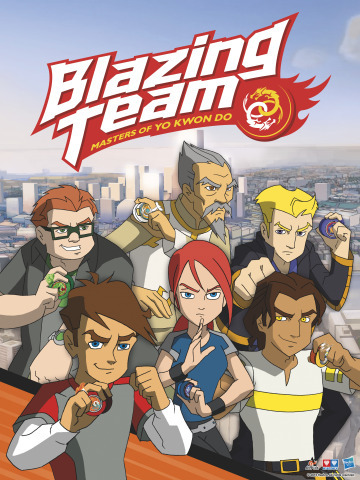 The BLAZING TEAM series features a group of ordinary teens who begin to recognize the extraordinary capabilities they have within when Yo Kwon Do master Lao Shi takes them under his wing to combat the growing darkness in their city and teach them power of Yo Kwon Do. The show kicks off with a two-part premiere on Friday, November 13 at 6:30 a.m. and 7 a.m. on Discovery Family Channel. In 2016, Hasbro will introduce a line of BLAZING TEAM yo-yo products featuring different difficulty levels. The line will launch in the U.S. beginning in March 2016 followed by additional markets later in the year. “We are thrilled to be working with Alpha to bring this powerful brand to new fans across the globe with new action-packed entertainment and an innovative product line that brings the fantasy of Yo Kwon Do to life, ” said John Frascotti, president of Hasbro Brands. About Guangdong Alpha Animation & Culture Co.
Guangdong Alpha Animation and Culture Co., Ltd. (SZSE: 002292) is the largest animation group and a leading pan-entertainment platform in China. Established in 1993, Alpha has transformed from a toy- oriented company to an entertainment focused enterprise. It possesses a strong content ecosystem featuring novels, comics, animations as well as movies, providing solid foundation for activities spanning across mass media, toys, consumer products, education, and theme parks. Owning more than ten animation studios, Alpha has been taking a multi-dimensional brand strategy to foster original properties and products. The company’s lineup of star properties includes Pleasant Goat and Big Big Wolf, Armor Hero, Balala the Fairies and Super Wings, targeting the K-12 group, as well as One Hundred Thousand Bad Jokes, B.E.E., The Raksasa Street, Backkom and Taichi Mice for people of all ages, especially adolescents. For more information, please visit www.gdalpha.com.